Our combo trips are among our most popular offerings as you can raft a different river each day and enjoy the comfort of our deluxe campground at night. 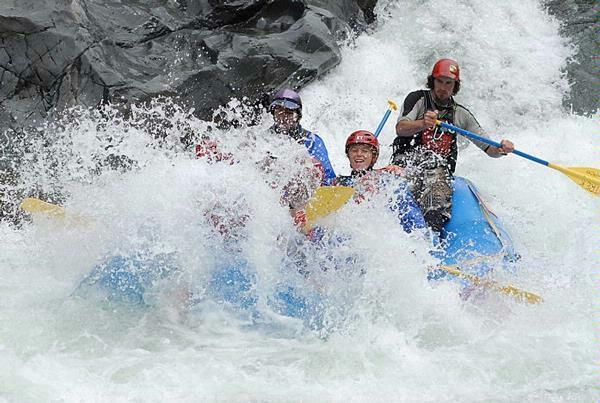 Choose from a variety of combo trips that offer 1 day of rafting the Class III South Fork followed by a day on the Class IV Middle Fork American. Start your 2 day trip with a warm-up run down the Lower Gorge of the South Fork. 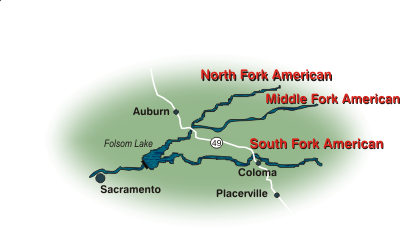 Enjoy 2 nights camping at EarthTrek's delightful camp and climax your trip with a day down the Class IV Middle Fork American. Trip includes 2 nights camping, dinner, 2 breakfasts and lunch each day on the river trip. Raft the Class IV Middle Fork the first day followed by the Class III South Fork Chili Bar Run the second day. Start your 2 day trip with a warm-up run down the Lower Gorge of the South Fork. Enjoy 2 nights camping at EarthTrek's delightful camp and climax your trip with a day down the Class IV+ North Fork American.